Hello there my dears, how is the new year treating you? 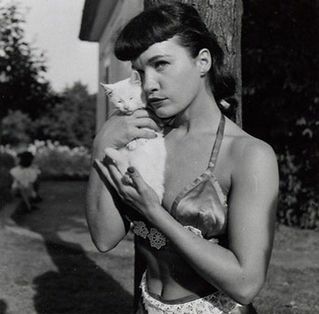 Thought it was about time I do another style icon post and I know Bettie is an obvious choice in the vintage community but she has always been one of my idols, I discovered Bettie and Dita when I was around 15 and they still have a big hand in my 'style'. I had the Bettie fringe for so many years and always want it back everytime I see her. Anyway lets drool over all of Bettie's gorgeous undergarments, I need to start making more of my own clothes like she did! OMG, I can SO see you rocking a Bettie fringe! She is rather a dreamy wench, and I reckon she would have been just lovely to hang out with. There's shades of you in Bettie, or vice versa. You should post some old pictures of you with the fringe - I bet it looked fab. 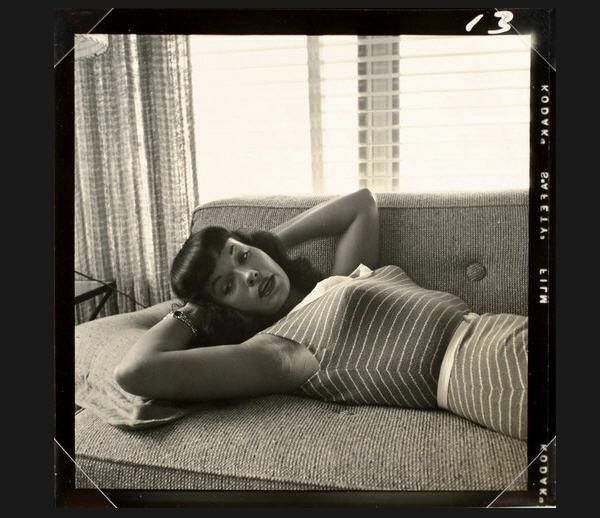 It's such a pity that some of the photos of Bettie make her look cheap when she really was such a beautiful girl. I'm glad that there are many more quality photos of her.